Today I am proud to bring you a review of the Killswitch Engage concert I attended at the Hawthorne Theater. I am really excited because this is our first guest review! Dylan DePriest kindly asked me along to the show and even more kindly agreed to write up the review! Oh, and when he talks about “the Reverend” that’s me and here’s why (<–follow link). It was a typical cold Wednesday night in Portland. For many it was the milestone marking the middle of the work week, but for metalheads it was the night that Acaro, Shadows Fall, and Killswitch Engage were performing in our great city. This show’s placement in the middle of the work week refined the crowd from people finding something to do on their day off to people who would risk their sleep schedules to see three amazing bands. I’ve always found that waiting in line outside of the venue is a great start to a show because you get to hear what people say about the bands. The Reverend and I stood right next to someone who was less than affectionate for Shadows Fall; we noted this because her choice to use derogatory terms in her description of the band rather than her choosing to use a more logical and fact-based argument that other people would use. (editor’s note: she called Brian Fair, Shadows Fall’s lead singer “gay” and she didn’t mean he was homosexual, so clearly she is font of taste and discernment, or you know someone who needs to be made aware that is not cool) This conversation continued until we had finally passed Hawthorne Theatre’s security. Acaro were the opening act for the night and they sounded great and performed great as well. Unfortunately the crowd was pretty weak at this point in the show because that the place wasn’t full and people weren’t warmed up yet. Two guys along with the Reverend and I were the only ones moshing which was fun, but it wasn’t super intense in terms of overall crowd intensity. Acaro’s set was great in terms of performance, but they only played about half an hour. After two great acts, Killswitch Engage performed and did a damn good job of it too. Killswitch Engage started with some Howard Jones-era songs, which was really quite great to experience since Jesse Leach is the band’s vocalist again. The band then performed their entire “Alive or Just Breathing” record. I’ve listened to that record many times from start to finish and it never gets old, so having the live experience was absolutely amazing and, based upon the way the crowd acted, they felt largely the same too. After performing the entire record, Killswitch ended with two more Howard Jones-era songs, ultimately bringing their set to around two hours in length. This concert was one of the greatest shows I have ever been to. After the opening, the crowd was intense, responsive, and fully engaged in the metal experience. While the show was at a small venue, which is a complaint from many people but not from me, the show was amazing and the music was loud. All three of these bands were great performers and even though I wasn’t completely familiar with all of the songs by the first two bands, they made an environment that was great for new fans and diehards alike. This will be a show that I will remember for many years to come. I can’t thank Dylan enough for inviting me along and for writing this review. 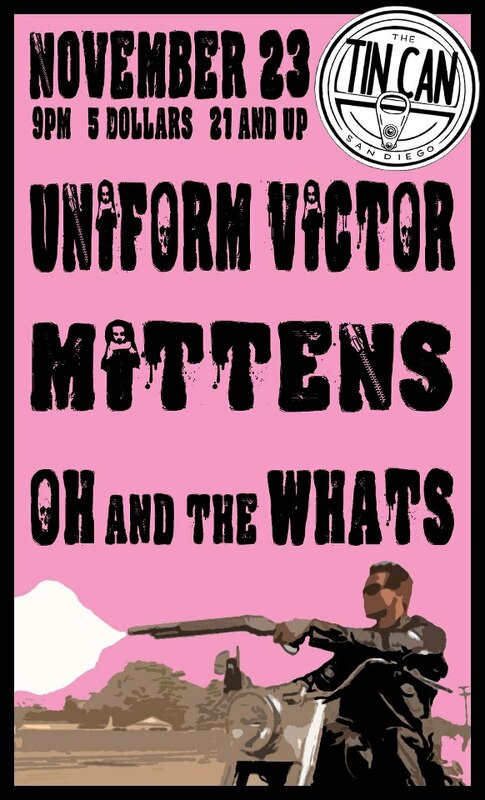 As you know I am a big fan of Uniform Victor and Mittens. They will be playing a show together and I really, really, REALLY wish I could make it. If you are in San Diego or near it you should go. PLEASE! 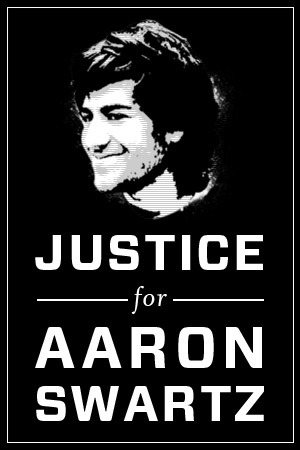 And take pictures and videos and post them here. Or write up your own review/article and send it in to Some Kind Of Muffin. Actually let’s make an offer. If you go to the show and do take pics and do a write-up and submit it to SKOM, then the person who writes the published article gets a download of some kind of music! My sister, Mo, is in town. She’s in town because we are David Byrne-ing it up! (Byrne-ing down the house?) Tonight we get to see him talk about his book How Music Works with Carrie Brownstein, but last night we saw him perform with St. Vincent(Annie Clark) in support of their collaborative album Love This Giant. Intention. Beauty. Art. That is what we witnessed. I’ll be honest. I don’t really know how to write this review; how to properly convey the experience I had. Let me start with the basics and go from there. There was a minimalist stage set up; just a few stage lights and a plain white backdrop. This was used to great affect when setting the mood. Byrne and St. Vincent both convey an amazing stage presence and are amazing vocalists and, as Mrs. Muffin said, St. Vincent has Prince-like chops on the guitar. The eight-piece horn section, drummer, and keyboardist were tight-every single one of them consummate musicians. 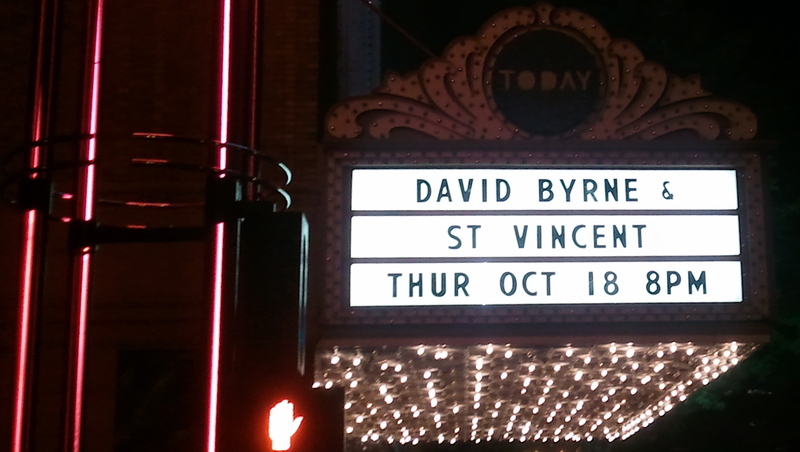 Each song had it’s own choreography whether it was dancing, marching around the stage or even having the horn section and Byrne lie down so the attention was aimed at St. Vincent. Everything was so focussed and thoughtful and every song was so good and every performer so on their game. And here is the part that is kind of hard to explain. I have been to many concerts and had an amazing time. There are times when the artist or band and the audience are so in sync that it becomes transcendent (Belly at LaLuna in ’95 comes to mind). 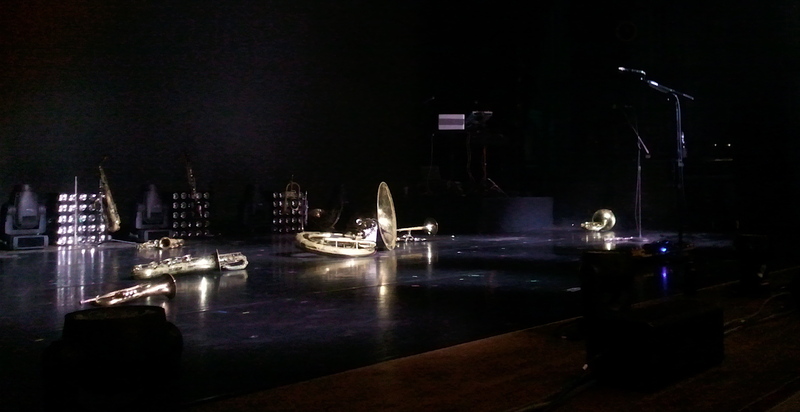 While last night’s concert did not attain that kind of transcendence, it did offer something else-at least to me. About three songs in it all hit me: David Byrne, St. Vincent, the horn section, the drummer, the keyboardist, the amount of work, dedication, passion, talent, and the level of the craft that I was witnessing and then it happened. Bear with me here kids….my eyes watered…they teared up. I didn’t cry, but I would say I was moved to tears. I have heard people talk about being brought to tears by artwork or a piece of music and have never gotten it. I understand those things bringing out something that is already inside of a person, but never believed the art or music did it in and of itself. Maybe I had something inside me that recognized what was going on up on the stage last night, but it seemed bigger than that and it definitely didn’t feel like it was about me. They played three encores and when they introduced the members of the horn section they pointed out that each person had their own table in the lobby selling merchandise for their individual bands they are in outside of the Love This Giant project. That’s class, folks. Every song was amazing. That is rare, but it’s true. One of my bands, Zombies Love Gizzards, will be playing at 10pm this Saturday Oct 13 at The Red Room located at 2530 NE 82nd Ave, Portland, Oregon 97220. Get Up Off Your Asses, Portland! Last night I got to see Ion Storm‘s inaugural show! They were amazing from the first song to the last. For those unaware I interviewed them here. Go get acquainted with them and then come right back. It’s OK. I’ll wait. Everything I’ve heard from them so far has impressed me, but those were only recordings. One really must see them live to get the full impact. First, amazing guitar tone and a pretty tight outfit. I know these guys practice up to 12 hours at a go and it shows. Their current bass player is a recent addition and it showed a bit, but overall he brought the low end. Drummer Tim was solid, fast, and interesting. I thought there was a moment when he was losing the beat, but it was just a part of a tempo change that was written into the song. Grady and Chris had some great harmonized riffage going on that seemed to focus around 4ths and it sounded great. My main complaint was the vocal levels. This show was at the Red Room and their vocals always seem low, but Grady represented growl well. Oh, did I mention they have a Minotaur? His name is Drew. Look at him. Do you have a Minotaur? No, you do not. I played bullfighter with Drew for a bit. It was good times. This band has a lot to offer and brought the heat, which leads me to the title of this post. Look up there ↑ and read it again. At most there were three people up off their butts rocking out, including me and Drew. I wish that this was the exception rather than the rule. I know people want to blame smart phones etc, but it’s not that. In my estimation it’s our self reflective, self conscious society. To put it another way: we are afraid of having fun and looking like fools(Well, not me clearly. 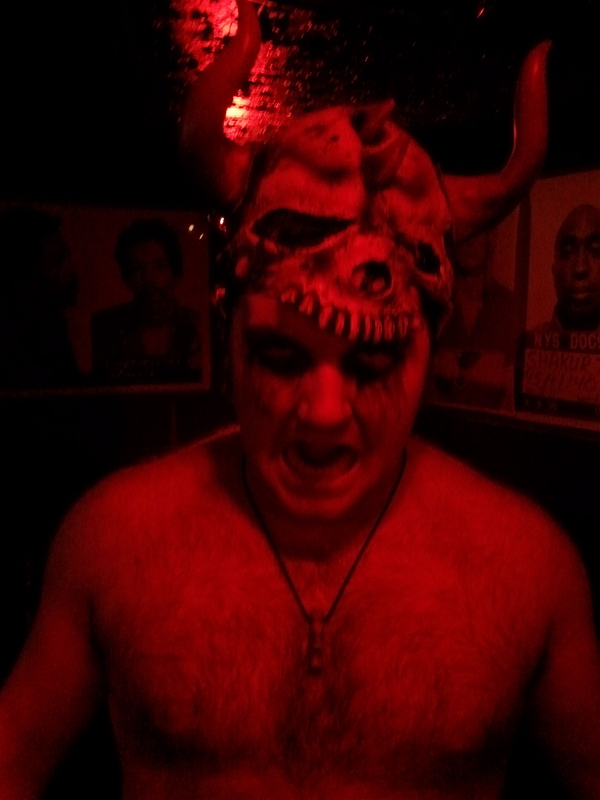 I played bullfighter with a Minotaur). It needs to stop now. Do it for yourself. Get up!! Dance! Bang your head!! Visibly enjoy yourself!!! But also do it for that band up there on the stage or the one on the floor where the pool tables had to be moved to make room. They don’t spend 12 hours at a go writing and rehearsing so you can sit there drinking your PBR and golf clapping after every song. And I can guarantee you they didn’t do it for the money, because bands rarely get paid much if anything just starting out. This is a two way street. They are there for you and you need to be there for them. This has been making the rounds and it’s just too cool not to post here. I did a review of Stop Making Sense, Talking Heads seminal and landscape changing concert film. Here we have them four years prior, live in Rome, full concert. Simply wonderful.